Why I am getting “Insufficient Balance” as response when i trigger the Broadcast API ? Please note broadcast API works only in Pay As You Go & Unlimited Plan , please make sure you are calling the API from the project which any of the above plan is activated. Why I am getting “Authentication Failed” as response when i trigger the Broadcast API? This error is because you are using a wrong API token or the project mapped to the API token is not in active status. I am getting “Sucess” as broadcast API response but my WhatsApp messages are not getting delivered to the recipient phone. Why ? 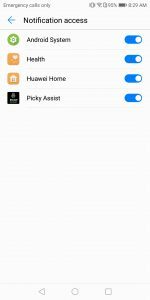 Make sure the accessibility permission is granted to the Picky Assist app, to verify please open the picky assist mobile app , from the dashboard Click on “Check Accessibility Status” then enable the access if disabled and if enabled then disable and enable it again. Why messages are missing when sending continuously or in bulk ? If you are continuously calling the broadcast API there are high chances the mobile phone which do the automation wont response to the request beyond certain limits , so your messages wont reach the phone. We highly recommend not to call the broadcast API continuously or one by one in a loop function in order to push message in the same time, instead pass all the number and message in a single API call which will ensure your messages reaches the phone correctly. When sending message sometimes it opens the whatsapp and pre-fill the message against the correct contact but message is not sending , why? 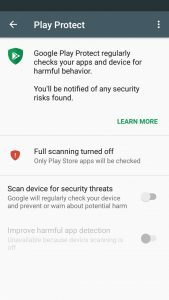 This is mainly because the “Accessibility” permission to the picky assist app might have revoked by the system , go to Picky Assist Mobile App Click on “Check Accessibility Status” then enable the access if disabled and if enabled then disable and enable it again. I have configured Webhook in picky assist console but my URL is not hitting when receiving a message in my phone , why? First make sure the incoming messages are showing in the picky assist console “Messages” , if the messages are not showing then the issue will in the picky assist bridge mobile app. After configuring the webhook please use the “Test” button in the webhook to test request and response. Incoming messages are hitting in server but reply messages are not getting delivered back to the sender , why? This is because you are not giving response in correct JSON format, you need to give response in JSON format immediately to the webhook , please refer Settings -> Webhook for sample JSON Format. You can also test the response using our inbuilt Test tool, go to Settings -> Webhook configure your webhook URL Click on “Test” button it will show both request and response, if your response is not in correct JSON format then our system will show an error. Incoming messages are not showing in my Web Console or not getting the request in my Webhook URL , Why?